MIAMI — Seven years after Florida adopted its sweeping self-defense law, the shooting of Trayvon Martin, an unarmed black teenager, has put that law at the center of an increasingly angry debate over how he was killed and whether law enforcement has the authority to charge the man who killed him. 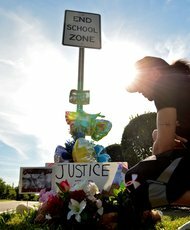 A makeshift memorial in the area of Sanford, Fla., where Trayvon Martin was shot to death. 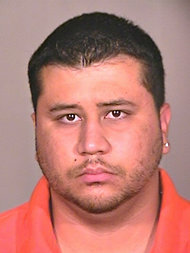 Mr. Zimmerman was on neighborhood watch three weeks ago when he fatally shot Trayvon. The law, called Stand Your Ground, is one of 21 such laws around the country, many of them passed within the last few years. In Florida, it was pushed heavily by the National Rifle Association but opposed vigorously by law enforcement. It gives the benefit of the doubt to a person who claims self-defense, regardless of whether the killing takes place on a street, in a car or in a bar — not just in one’s home, the standard cited in more restrictive laws. In Florida, if people feel they are in imminent danger from being killed or badly injured, they do not have to retreat, even if it would seem reasonable to do so. They have the right to “stand their ground” and protect themselves. In recent days, Trayvon’s parents, Tracy Martin and Sybrina Fulton, have issued pleas for law enforcement to take action, and social media campaigns, chiefly on the Web site change.org., have pushed for the justice system to act. Celebrities like Spike Lee and John Legend have joined the effort. The lawyer for Trayvon’s parents, Benjamin Crump, said at a news conference on Tuesday that Trayvon was speaking to his girlfriend on his cellphone minutes before he was shot, telling her that a man was following him as he walked home. Mr. Zimmerman had reported a “suspicious” person to 911 shortly before the encounter, saying a black male was checking out the houses and staring at him. Mr. Zimmerman, a criminal justice major, often patrolled the neighborhood. He had placed 46 calls to 911 in 14 months, for reports including open windows and suspicious persons. Trayvon’s parents say they are sure they can hear Trayvon pleading for his life on the 911 tapes. 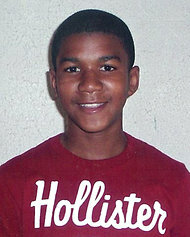 Several witnesses who heard the encounter agree it was Trayvon who was screaming. But Mr. Zimmerman told the police that was his voice. Gov. Rick Scott, asked about the law at a press gathering on Tuesday, said that he did not think the law was unfair but that it merited a close look. It happens with rival gangs, too. “It puts us in a posture that, if you and I had words, and I said get your gun and I will meet you on the street, we can have a shootout in the street and the winner is standing his ground,” Mr. Meggs said. In Florida, the situation is particularly explosive because of the state’s expansive gun-rights laws. Most people in the state who are not felons can buy guns in Florida, and a relatively large percentage do, with some choosing to keep them in their cars. The National Conference of State Legislatures has found laws in nearly every state that allow the use of deadly force, to a greater or lesser degree, in self-defense, and in defense of property and premises. Copyright 2012 The New York Times Company. Reprinted from The New York Times, National, of Wednesday, March 21, 2012.